Today marks the anniversary of the inauguration of one of the first supercomputers and the first demonstration of Bluetooth technology. 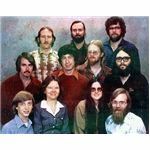 Read more in "This Day in Computer History", a chronology of notable events in the computer, ecommerce, and software industries on this day in history. UK electrical engineering firms Ferranti and Plessey inaugurated the Atlas Computer, one of the first supercomputers, at Manchester University. The system featured the first paging system in history and the first pipelined operations. 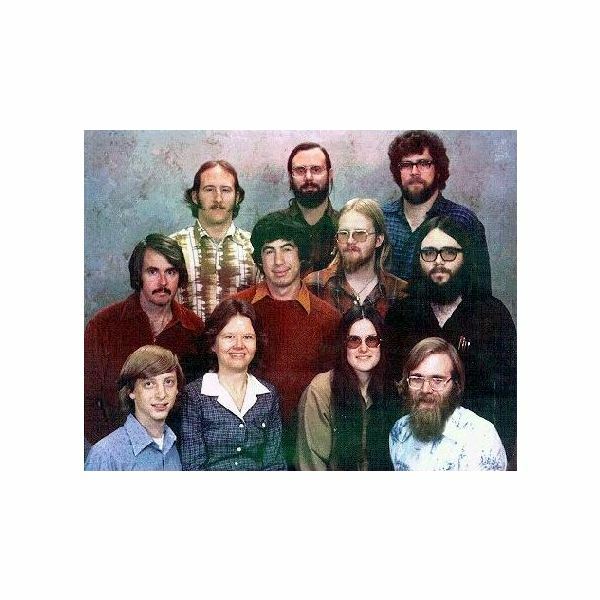 What would become the most famous image of the founding members of Microsoft is taken. Top row: Steve Wood, Bob Wallace, and Jim Lane. Middle row: Bob O’Rear, Bob Greenberg, Marc McDonald, and Gordon Letwin. Bottom row: Bill Gates, Andrea Lewis, Marla Wood, and Paul Allen. Erik Labs released the ground-breaking BiModem file transfer application for the BBS community. BiModem featured a new protocol that enabled users to not only upload and download files simultaneously, but also to initiate chat sessions with other users during file transfers. Adobe Systems announced that it would license the Java platform from Sun Microsystems in order to integrate Java support into Adobe Acrobat and PageMill. The same day, Microsoft executives hold a seven-hour conference on Internet strategy, during which they announced that Java would be licensed for use in the Microsoft Network. Microsoft also announced that it had licensed the Mosaic web browser for Windows 3.1 from Spyglass and that it would offer Internet Explorer 2.0 to all users free of charge. Apple Computer released a minor update to Mac OS 8.5, Mac OS 8.5.1. Microsoft announced the discovery of a critical Y2K bug in the latest version of its Windows ‘98 operating system. The announcement came with a pledge to remedy the issue in the near future. South Carolina publicly withdraws its support of the antitrust suit being built against Microsoft. Representatives of the State Attorney's office explain that an analysis of the merger of America Online and Netscape suggested evidence of sufficient market competition. South Carolina had been one of twenty states to join the antitrust suit. Intel publicly demonstrated its Bluetooth wireless technology for the first time. In the demonstration, two notebook computers were synchronized wirelessly. Bluetooth, a new set of protocols for personal area networks, was set to be released in mid-2000. In San Francisco federal court, the Recording Industry Association of America (RIAA) filed a lawsuit against the Napster filesharing service for mass copyright infringement. The lawsuit would be one of the largest and most-watched court proceedings of the nineties, and its media coverage would cause Napster to explode in popularity. Practically overnight, millions of new users would join Napster. Four Israeli teens were arrested for creating the devastating Goner worm, which was estimated to have caused eighty million dollars of damage globally. A fifth teen would later be arrested. The five were found when it was discovered that they had embedded their handles into the worm's code. Of the five teens, one was a middle school student, and the other four were tenth and eleventh graders. Mozilla Thunderbird 1.0 was released. Nvidia announced that it would jointly develop a custom graphics processing unit in cooperation with Sony for Sony's upcoming PlayStation 3 video gaming console. The announcement caused Nvidia shares to rise by fifteen percent, though the terms of the deal were not disclosed. A team of scientists from the New York State Department of Health and New York State University of Albany publicly demonstrated a device that enabled users to control a computer with the force of thought alone. Version 8.4.9 of the Tcl/Tk programming language was released.